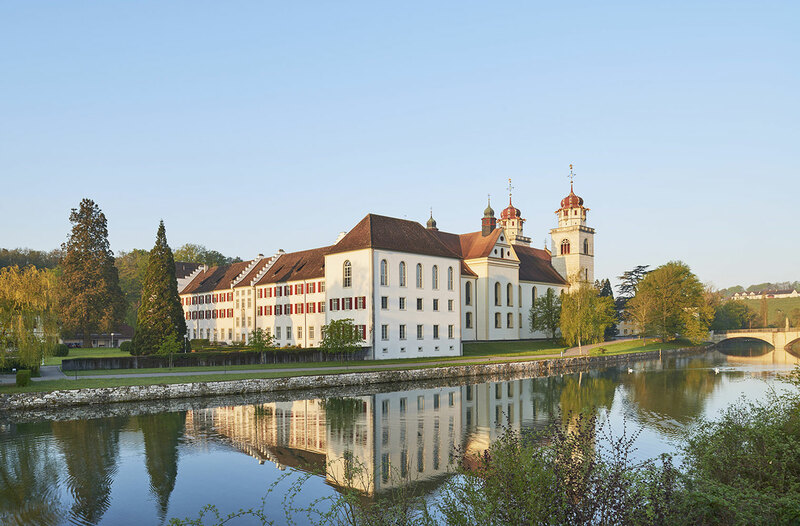 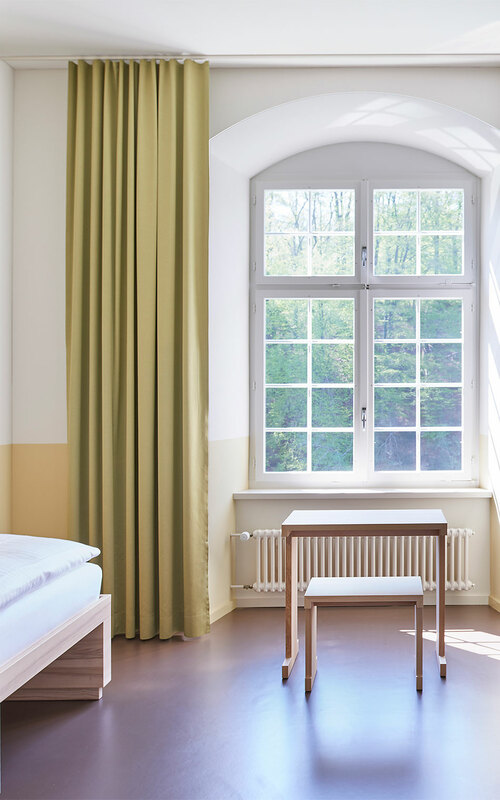 The unique rehearsal center for musicians, the ideal location for creativity and concentration in a former monastery on an island in the Rhine River. 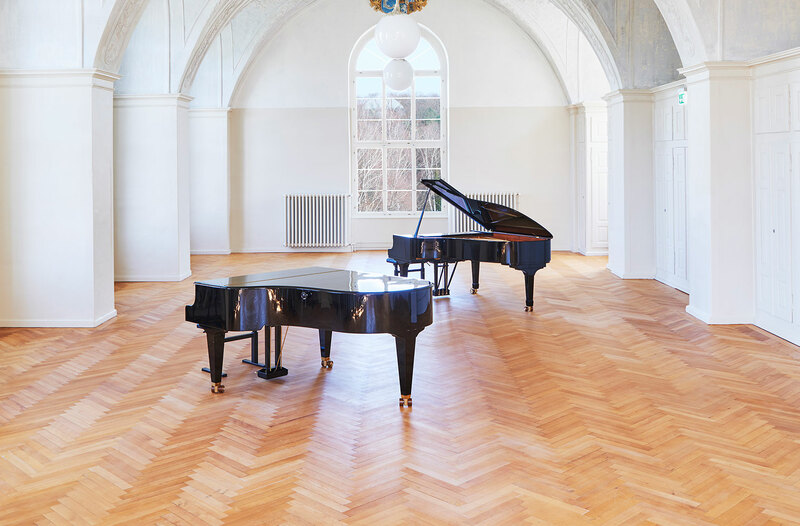 We offer 16 rehearsal rooms with extraordinary acoustics and aesthetic, attentive and friendly hospitality, 130 beds, lounges, a complete catering range, an inspiring atmosphere and plenty of peace and quiet. 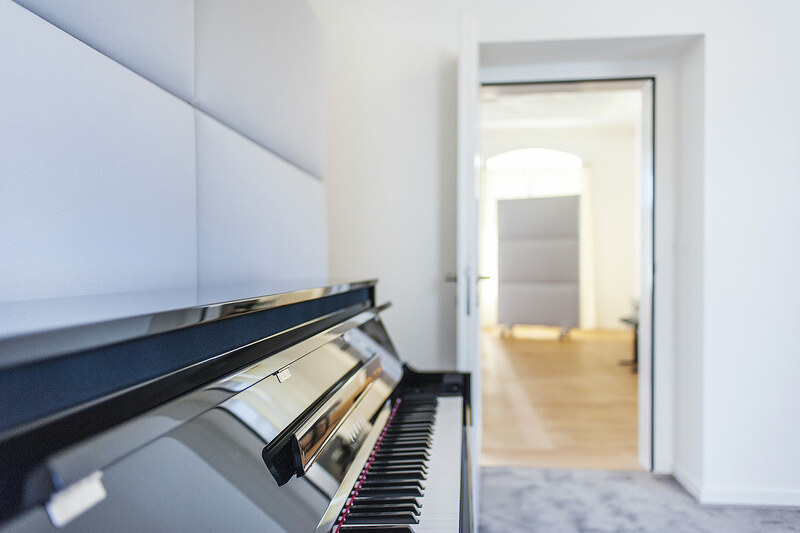 The 16 acoustically optimized rehearsal rooms are all equipped with a grand piano or piano and offer room for up to 120 musicians. 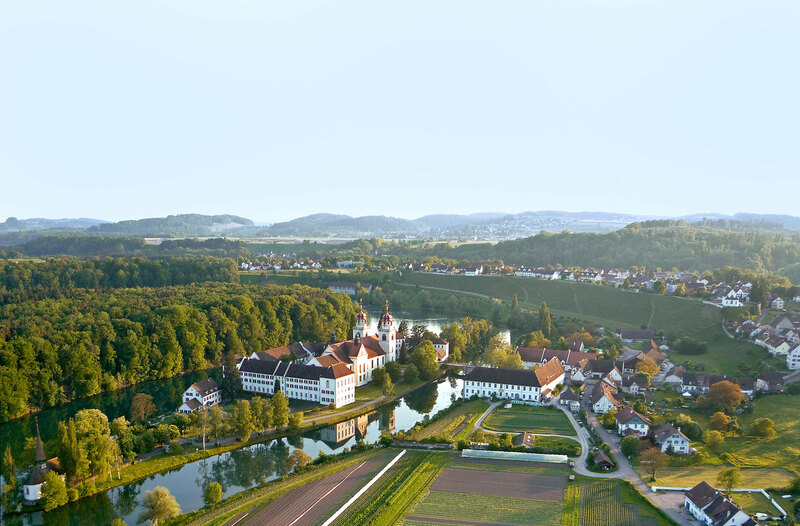 The MUSIKINSEL is situated on an island in a double loop of the Rhine River, amid an idyllic landscape and surrounded by plenty of nature. 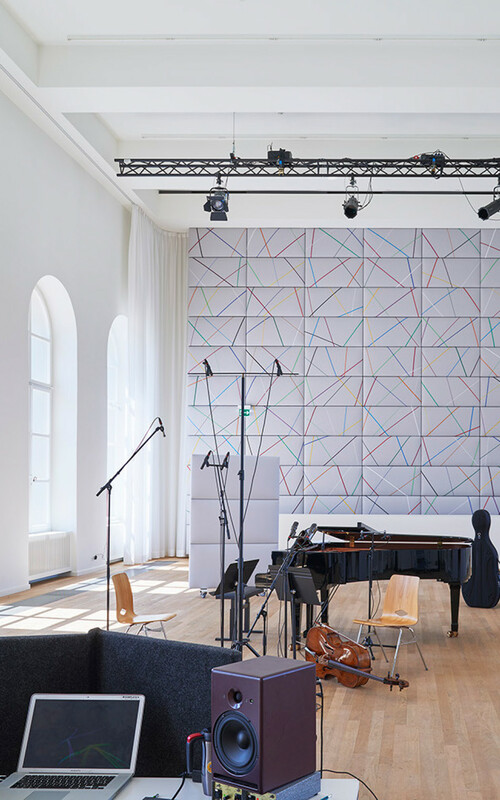 The island location and massive historical walls create the prerequisites for good acoustics: silence.